Hello, Gorgeous! : Autumn, You Have My Permission. Autumn, You Have My Permission. I have a confession to make...I am actually excited for Fall. Even though autumn is usually my favorite season, I thought that I would never crave cooler weather again after the gut-wrenching winter that we just had. But, I can't help it! I want to wear cute boots and cozy little sweaters. I want to walk on beautiful crunchy red and orange leaves. And I really want to drink hot cider and eat delicious doughnuts! Every outfit is great, but my favorite is the Yasi dress! So cute! You always do such a great job styling your accessories and I love all of your dresses from Catch Bliss. I'm going to have to place my own order there very soon! I can't find the yasi dress on the site!! I love the red look, so so cute! Every outfit is amazing! I agree, I thought I would never want colder weather after winter but the humidity and heat is just too much! Thank you so much for the office wear inspo! I've been lacking ideas since I started my rotations for medical school, and I seriously need more closet pick me ups that are professional. You look perfect!! I love your outfits - you do such a good job of remixing pieces you've won before! I wish I had an office job I could wear these more! Your necklace collection is amazing! OMG I loooove your statement necklaces! I just came across your blog through Pinterest and I just live your style! I am a mom of two and hardly have any time to even think about putting outfits together let alone time to shop for them. Thank you for posting all the links to your items. I've already ordered severals pieces! I also love that you use items with multiple looks. Definitely what I need! And most items are very affordable. I will definitely be a regular reader and am anxiously awaiting new outfits! Can I just move into your closet?! I love all your outfits. It almost makes me want to get a job (stay at home mom here) just so I have a reason to get dressed up! Tell me about it. I want to get another job myself, preferably an office gig, if not just for the attempt at fashioning outfits like hers. 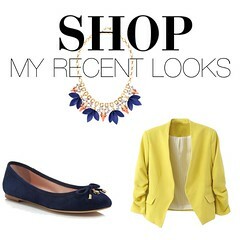 Your white H&M blazer may or may not be in my shopping cart at this very moment! Thanks for a little styling inspiration! As always, each of these outfits is absolutely beautiful. I can't really say I have a fave since each is so awesome. I must say, you wear all your outfits so flawlessly too! You are such a fashion inspiration to me and I really try to emulate as often as possible. Complete class you are! On another note...I love that you're sporting white ...shoes...especially after Labor Day. I am always sad because of the white 'rule' come end of Summer. Glad to see more gals debunk this rule. Now, whether I am brave enough, despite my obsession with white shoes, to wear white after Labor Day remains to be seen. But thanks for the reminder that it's ok! You have such an amazing collection of necklaces and bracelets. How do you keep them all organized? I struggle.with this. Would love to see any of your tips or tricks! Yasi, love this blog!! 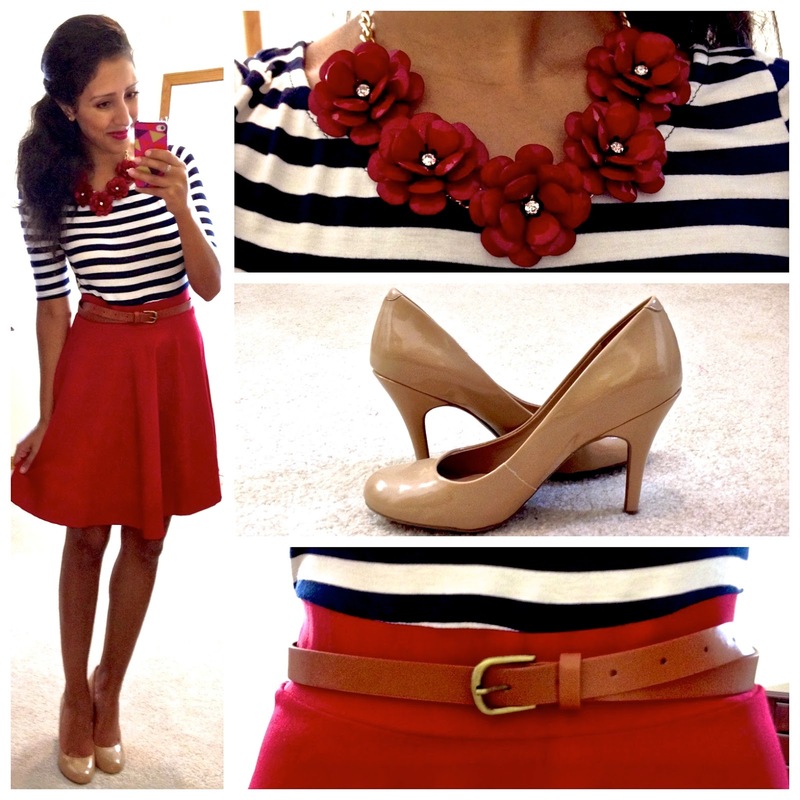 Found you on Pinterest, and am wondering how you'd recommend building a sparse wardrobe? An outfit a week, just some articles a week, accessories?